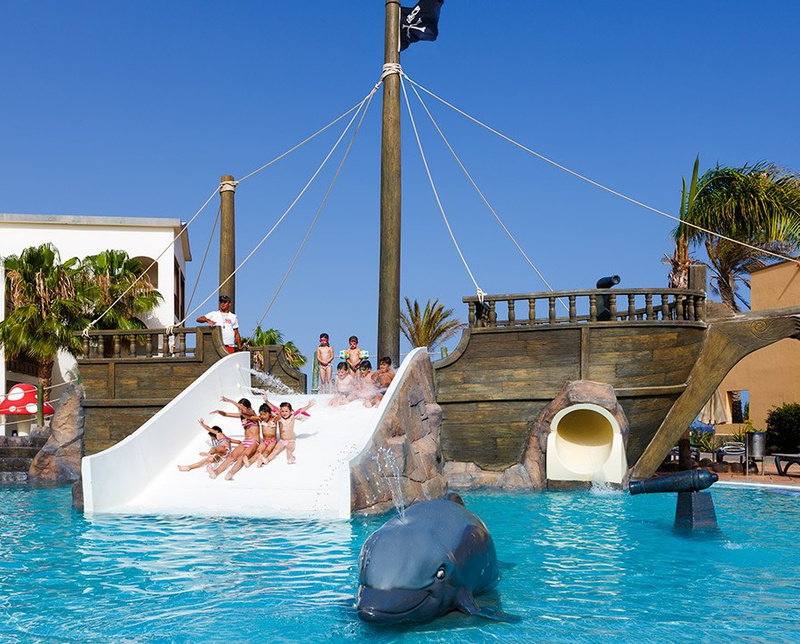 The Rubicon Palace Lanzarote is a popular 4 star hotel located 34 km from Arrecife airport and just outside the resort of Playa Blanca. The hotel is set by the sea in extensive grounds with great views across to the island of Lobos. 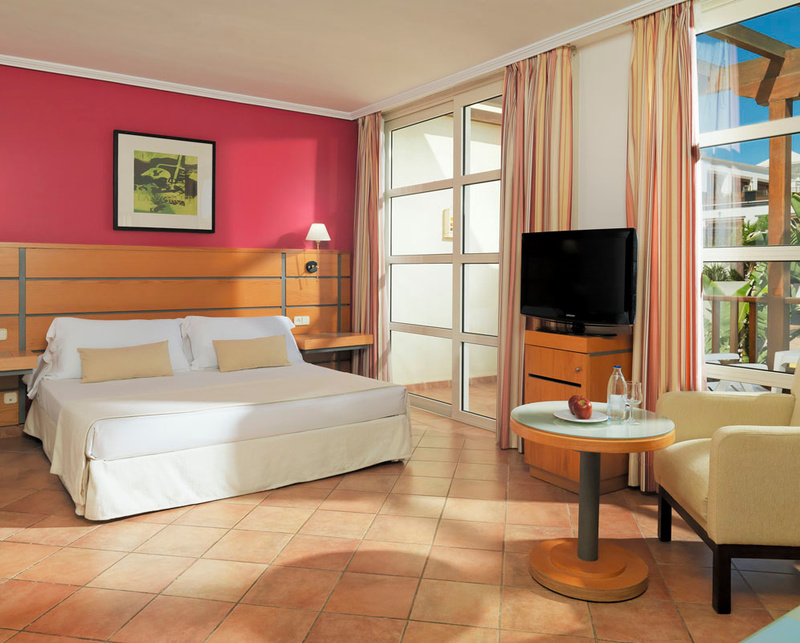 The H10 Rubicon Palace has been designed around a typical Canary Islands square; there are various guestroom buildings scattered around the grounds, which are fully integrated into the environment that surround the main central building. The hotel provides an array of holiday facilities and enjoys an enviable level of repeat business from couples and families alike. This hotel provides 546 rooms which includes 38 junior suites. All rooms have balcony or terrace, bathroom with hair dryer, TV with Digital Plus channels, air conditioning, safety deposit box, piped music, mini bar and telephone. Some rooms are designated disabled rooms. The hotel also has Club Palace rooms which are double rooms or junior suites in sea front villas, these rooms also have additional services such as daily newspapers, VIP bath robes, separate no wait check-in and check out areas, please ask at the time of booking for a list of the facilities that are available with these rooms. There are no shortages of bars or restaurants at the H10 Rubicon Palace. 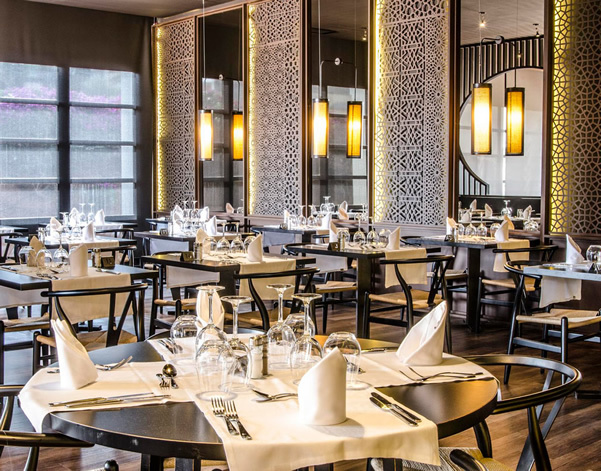 The Tabaiba and the Janubio restaurants provide a buffet of international specialties with attending chef plus themed dinners several times a week. Children's buffet is also available. At lunchtime there is the La Choza Restaurant this is found on the outdoor terrace beside the pool and in the evenings if you feel like a change you can try the A la Carte Venecia Restaurant. Evening entertainment can be found in the Montaña Roja dance hall here you can dance to live music and enjoy professional entertainers and discotheque. There is a Piano Bar where you can try a drink from the cocktail menu accompanied by live music in the incomparable setting of the lounge. If you prefer something a little less sedate you could drop in to the Beefeater English Pub and check out the live music there. 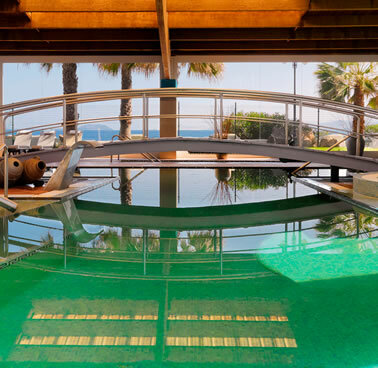 H10 Rubicon Palace has also a center of Thalasso Therapy (Children under 16 years old are not permitted to enter the center). It offers the following services: Bathing and treatment area, here you will find, dynamic water zone with water jets, canons, waterfalls, sea water river, pebble walk, hydro massage beds and Jacuzzi. There is a thermal area with sauna, Turkish baths, steam room, cold water dip, hydro massage bath, enjoyment bath, relaxation lounge and sunbeds. A Fitness Area with gymnasium with cardiovascular stimulating and muscle building equipment and finally a health and beauty area that has a Hairdressing and beauty salon, booths for beauty therapies, facial treatments, mud and algae wraps and Vichy shower. 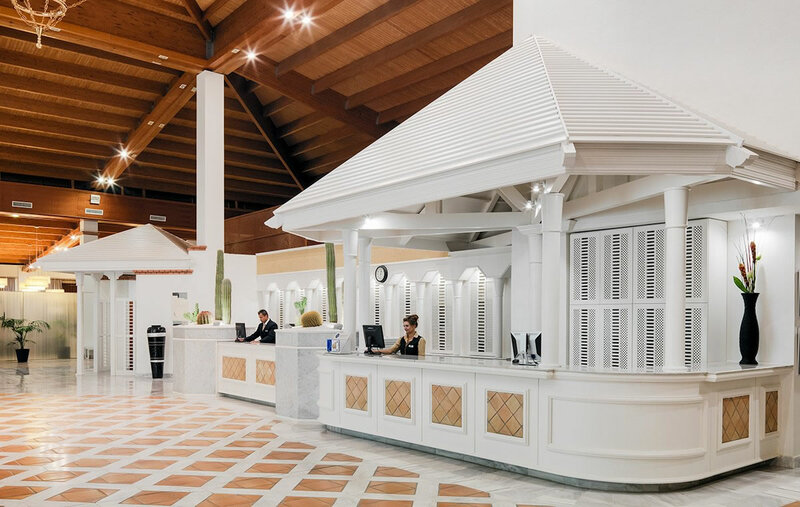 The hotel facilities here are quite comprehensive, there are 3 meeting rooms, it also provides an internet corner, and kiosk for souvenirs and newspapers, other shops including a boutique, there is a laundry service and dry cleaning available. In the 24 hour reception you can change money, hire a mountain bike or book car hire. The hotel has a car parking area.